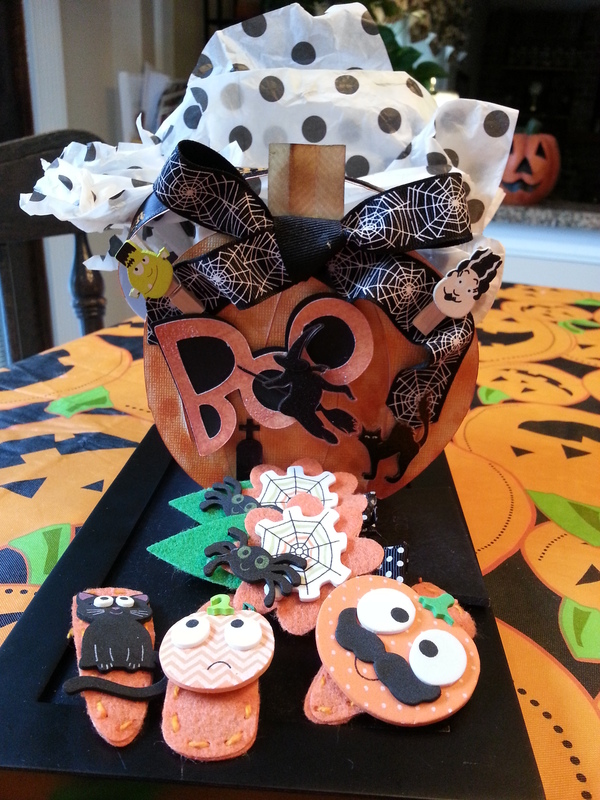 Today I made these cute Halloween barrettes and pumpkin bag for my little grand daughters. I used the Cricut Tags, Bags, Boxes and More 2 for the pumpkin bag. I made the hair clips using the Clever Barrette Covers dies from PTI. The flowers were made with a Sizzix die . I had a lot of fun making these and know my grand daughters will love them. I am entering these into the decorate to celebrate challenge #61 Witch’s Brew. You can follow their blog at http://decoratetocelebrate.blogspot.com/ Their design team offers loads of great ideas for making fun projects to add to parties or home decor.